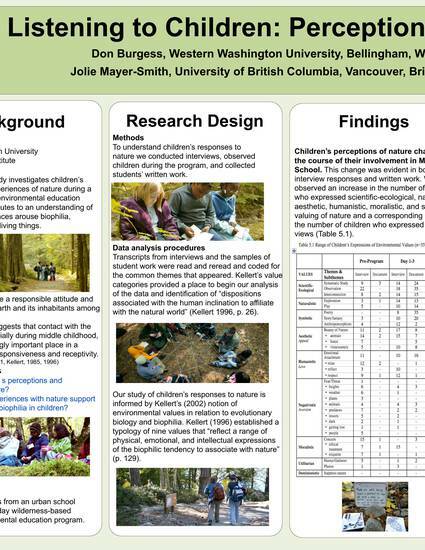 This exploratory study investigates children’s perceptions and experiences of nature during a residential outdoor environmental education program and contributes to an understanding of how nature experiences arouse biophilia, a love of life and all living things. How can we promote a responsible attitude and caring view of the earth and its inhabitants among young people? Limited research suggests that contact with the natural world, especially during middle childhood, occupies a surprisingly important place in a child’s emotional responsiveness and receptivity.